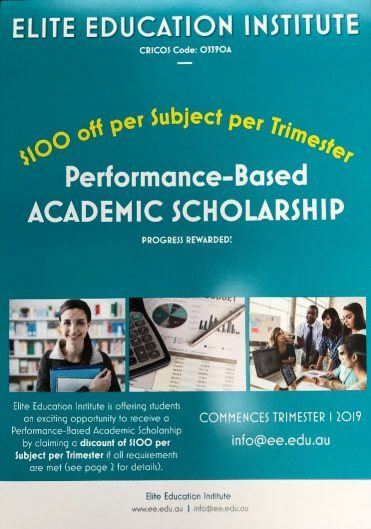 EEI offers Progress-Based Academic Scholarships to current students who meet certain criteria. At Elite Education, we value good progress and effort, and are happy to give back to those who show initiative and commitment to their studies. 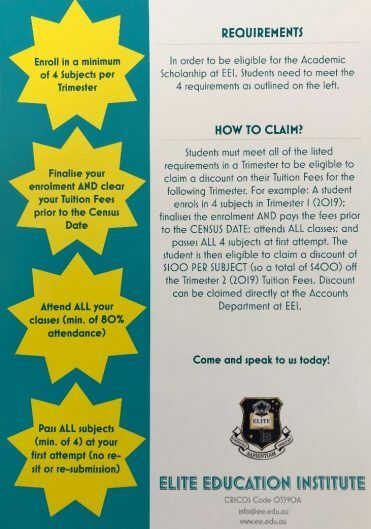 Keep up with your Academic Progress and have your progress rewarded at the same time by receiving a discount on your Tuition Fees for the following Trimester! Minimum Discount of $400 per Trimester if all requirements are met! Contact your Student Support Officer to find out more.